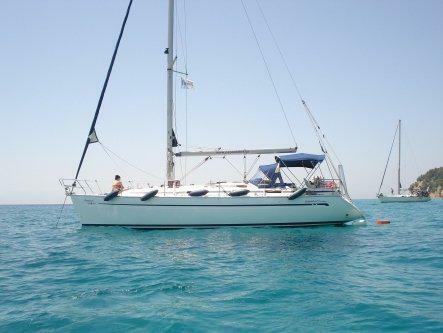 The Bavaria 46 Cruiser is an excellent choice for demanding customers. The cockpit is both spacious and functional. and with remote control in the cockpit from the Radio cd A folding table and a twin steering wheel system offer easier access to a gangway. A furling mainsail and a roll Genoa improve yachts sailing performance.have automatic pilot, bow thruster,and Gps Plotter in the cockpit. Have also radio CD mp3 radio with speakers on the inside and outside.During any weather conditions, spray hood and Bimini will protect your crew from the sun, wind and the rain. It has generously appointed interior with two heads, 3 electrics wc, a full-sized two refrigerators 160L and 110L with freezer, and surprisingly handy storage compartments. In the salon have 24″ led tv 12v and the cabins offer excess light and great air circulation. Plenty of room and storage, with wide beds characterize four double bed cabins.The kitchen is fully equipped with a gas stove and oven, and basic cooking utensils. With proven performance, you’ll have an excellent charter experience with this yacht. The Margarita is in great condition, and available for bare boat renting. 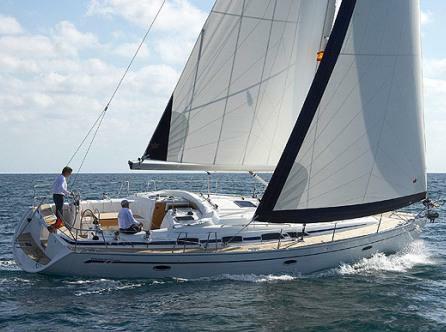 The Bavaria 45 Cruiser is an excellent choice for demanding customers. The cockpit is both spacious and functional. A folding table and a twin steering wheel system offer easier access to a gangway. A furling mainsail and a roll Genoa improve yachts sailing performance have automatic pilot and Gps Plotter on the cockpit. The yacht have also radio CD mp3 radio with speakers on the inside and outside. During any weather conditions, spray hood and Bimini will protect your crew from the sun, wind and the rain. It has generously appointed interior, 3 electrics wc, two refrigerators 160 L and 110L with freezer, and surprisingly handy storage compartments. The salon and cabins offer excess light and great air circulation. Plenty of room and storage, with wide beds characterize four double bed cabins. The kitchen is fully equipped with a gas stove and oven,microwave and basic cooking utensils. With proven performance, you’ll have an excellent charter experience with this yacht. Have also solar panels and led on the Bimini for a romantic dinner. The Elise is in great condition, and available for bare boat renting. 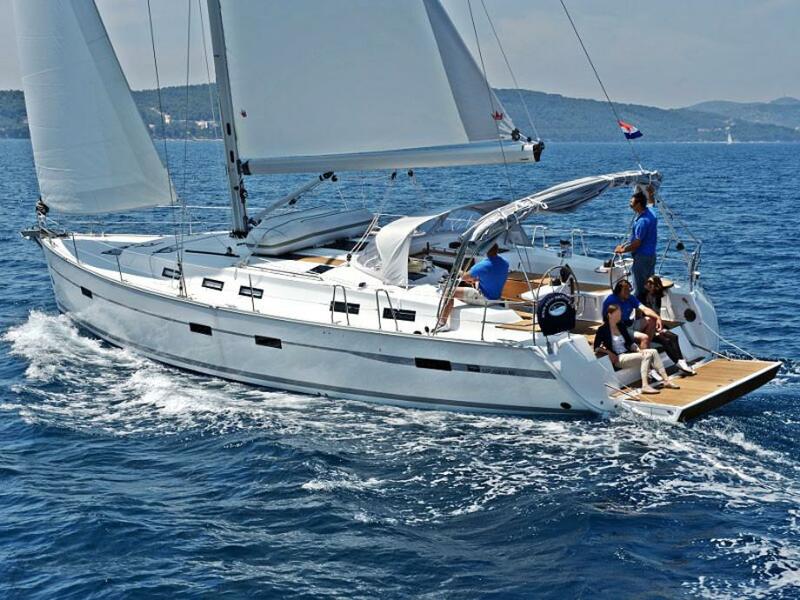 The Bavaria 43 Cruiser is an excellent choice for demanding customers. The cockpit is both spacious and functional. A folding table and a twin steering wheel system offer easier access to a gangway. A furling mainsail and a roll Genoa improve yachts sailing performance.have automatic pilot and Gps Plotter on the cockpit. Have also radio CD mp3 radio with speakers on the inside and outside.During any weather conditions, spray hood and Bimini will protect your crew from the sun, wind and the rain. It has generously appointed interior, 2 electrics wc, big refrigerator with freezer, and surprisingly handy storage compartments. The salon and cabins offer excess light and great air circulation. Plenty of room and storage, with wide beds characterize tree double bed cabins. The kitchen is fully equipped with a gas stove and oven,micro way and basic cooking utensils. With proven performance, you’ll have an excellent charter experience with this yacht. Cruising around the Greek islands is in itself a unique experience, one that you’ll want to relive again and again, whichever route you choose. 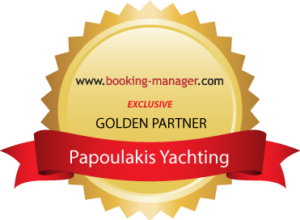 All of our boats are in excellent condition and are delivered to you all the way in full operation to make the best holidays in your life. 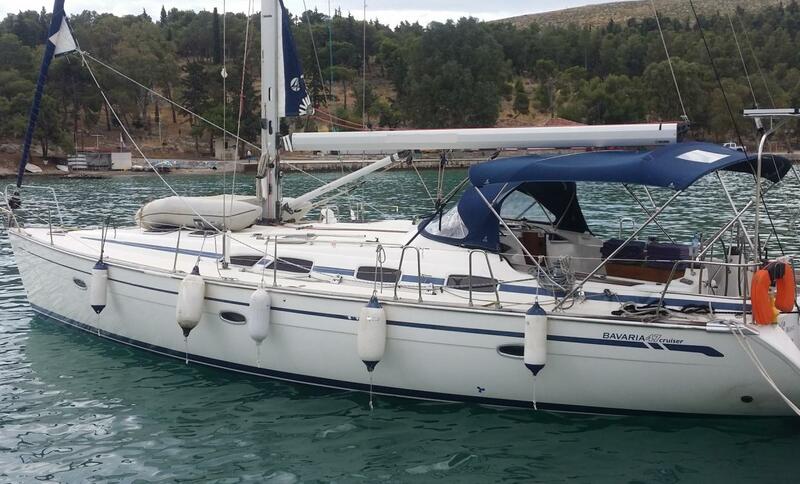 The Bavaria 40 Cruiser is an excellent choice for demanding customers. The cockpit is both spacious and functional. A folding table and a twin steering wheel system offer easier access to a gangway. A furling mainsail and a roll Genoa improve yachts sailing performance.have automatic pilot and Gps Plotter on the cockpit. Have also radio CD mp3 radio with speakers on the inside and outside.During any weather conditions, spray hood and Bimini will protect your crew from the sun, wind and the rain. It has generously appointed interior, 2 electrics wc, refrigerator with freezer, and surprisingly handy storage compartments. The salon and cabins offer excess light and great air circulation. Plenty of room and storage, with wide beds characterize tree double bed cabins.The kitchen is fully equipped with a gas stove and oven,micro way and basic cooking utensils. With proven performance, you’ll have an excellent charter experience with this yacht. 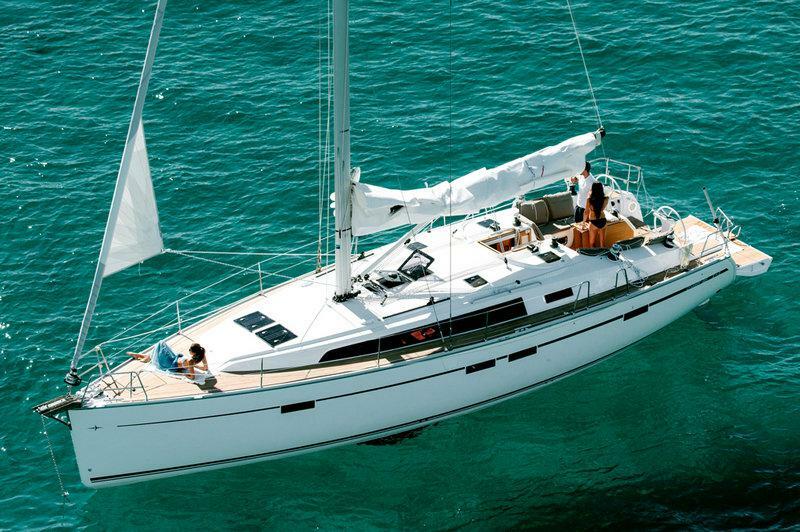 The Bavaria 38 Cruiser is an excellent choice for demanding customers. The cockpit is both spacious and functional. A folding table and folding wheel system offer easier access to a gangway. 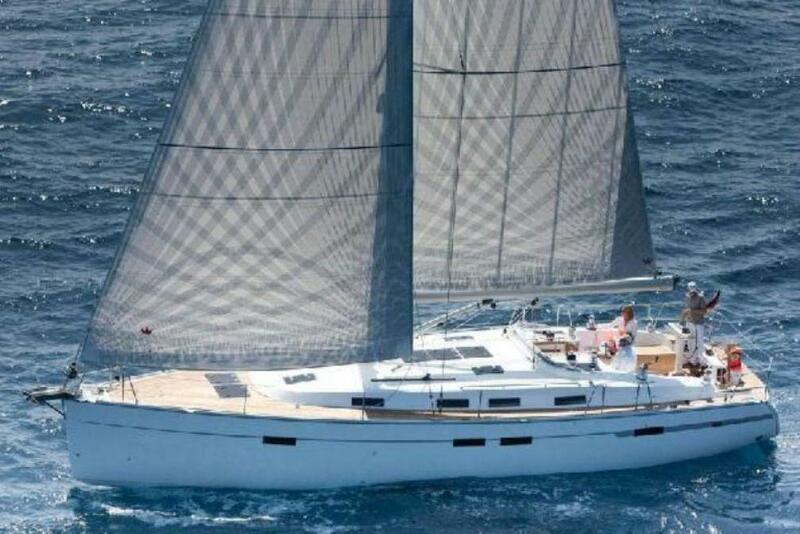 A furling mainsail and a roll Genoa improve yachts sailing performance. have automatic pilot, Radar ,bow thruster and Gps Plotter on the cockpit. Have also radio CD mp3 radio with speakers on the inside and outside. During any weather conditions, spray hood and Bimini will protect your crew from the sun, wind and the rain. It has generously appointed interior, 1 electrics wc, refrigerator with freezer, and surprisingly handy storage compartments. The salon and cabins offer excess light and great air circulation. Plenty of room and storage, with wide beds characterize tree double bed cabins. The kitchen is fully equipped with a gas stove and oven and basic cooking utensils. With proven performance as heating , TV with dvd 12v dc, you’ll have an excellent charter experience with this yacht.